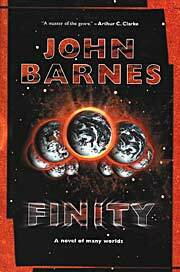 Barnes, John. Finity . Tor 1999. Summary: Set in the year 2062 of a world in which the Axis won World War II. Published: Tor 1999 (0312861184BUY, 0812571452BUY).